Professor Nadia Magnenat Thalmann has pioneered research into virtual humans over the last 30 years. She obtained several Bachelor’s and Master’s degrees in various disciplines (Psychology, Biology and Biochemistry) and a PhD in Quantum Physics from the University of Geneva in 1977. 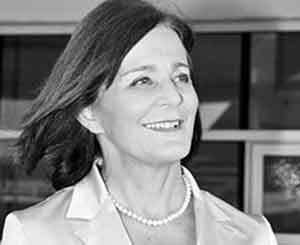 From 1977 to 1989, she was a Professor at the University of Montreal in Canada and then Professor at the University of Geneva.Nadia Magnenat Thalmann is currently Professor and Director of the Institute for Media Innovation, Nanyang Technological University, Singapore. She is also the Founder and Director of the MIRALab, an interdisciplinary lab in Human Computer Animation, University of Geneva, Switzerland. Her global research area is the modelling and simulation of Virtual Humans. She is also working on Social Robots, mixed realities and medical simulation. All over her career, she has received many artistic and scientific Awards, among them the 2012 Humboldt Research Award, and two Doctor honoris Causa (from University of Hanover in Germany and from the University of Ottawa in Canada). She is Editor-in-Chief of the Journal The Visual Computer (Springer-Verlag) and is a Member of the Swiss Academy of Engineering Sciences. The creation of virtual worlds has required during decades a lot of efforts and know how. First of all, the digitisation or parametrisation process has taken quite some years to allow the creation of 3D worlds. Then the animation of these 3D worlds is still an open research topics as well as their natural interaction. As ultimate goal, users aim to experience virtual fictive or realistic 3D worlds through 3D glasses and have the feeling of presence during the interaction. Today, these virtual worlds are more and more used to create new reality that can be produced through 3D fabrication. With the use of real 3D models, their simulation, the interaction, we can test quantities of new worlds, games and situation. The addition to that is that we can immediately fabricate these virtual worlds and use the simulation software to manage their behaviour. In this presentation, we will show how we are able to capture all kind of information, model it in 3D, simulate it, interact with it and finally develop real 3D models by fabricating them automatically for real worlds applications. We will show case studies with the fabrication of social robots.